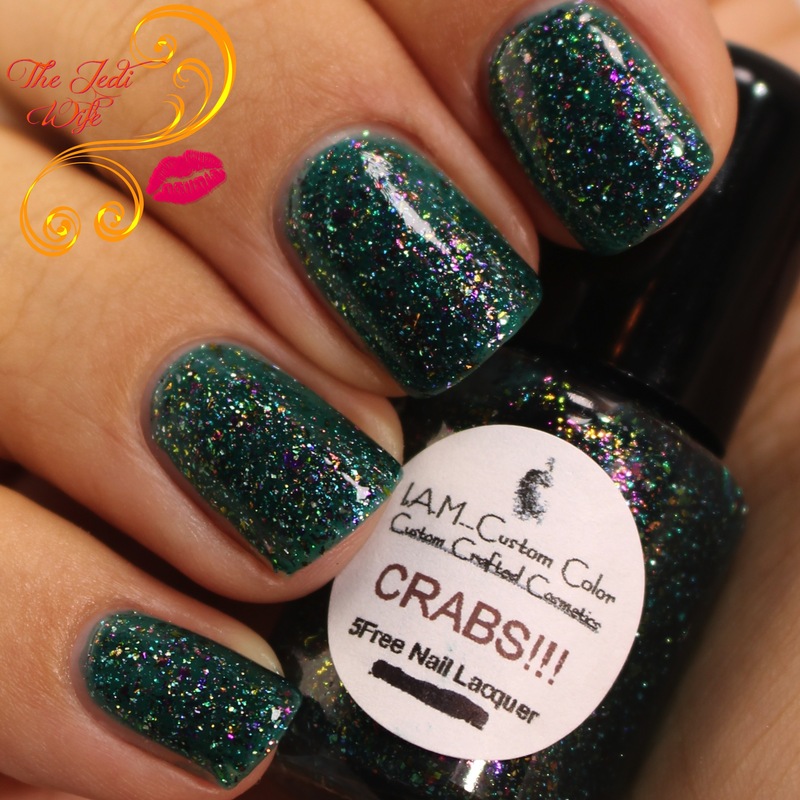 I,A.M...CustomColorCosmetics Dīs Pater and CRABS!!! Greetings, dear readers! I have two shades designed by Ashlie of I,A.M...CustomColorCosmetics (IAMCCC) to share with you today. This is a new-to-me brand, and I had the pleasure of meeting Ashlie in Las Vegas this summer at the Cocktails & Colors networking event. I always enjoy meeting new people and checking out brands, and Ashlie has some beautiful polishes! Let's check a couple of them out! Dīs Pater is one of six shades from the just-released Death Mythos Collection. He was a Roman God of the Underworld although he was later incorporated into the more commonly known Pluto (Roman) and Hades (Greek). This polish is a gorgeous concrete grey creme with contrasting turquoise shimmers. The formula was superbly creme and application was a dream! This shade is a fabulous neutral with just the right amount of colour and is an understated beauty. IAMCCC also has bath/mani/pedi fizzies available in the shop. I picked up this super cute palm tree, although I have to admit I've not had the opportunity to try it yet. I kept planning to take a relaxing bath but with two little ones around, it doesn't always get to happen. I think I'll just have to test this out in my foot spa. 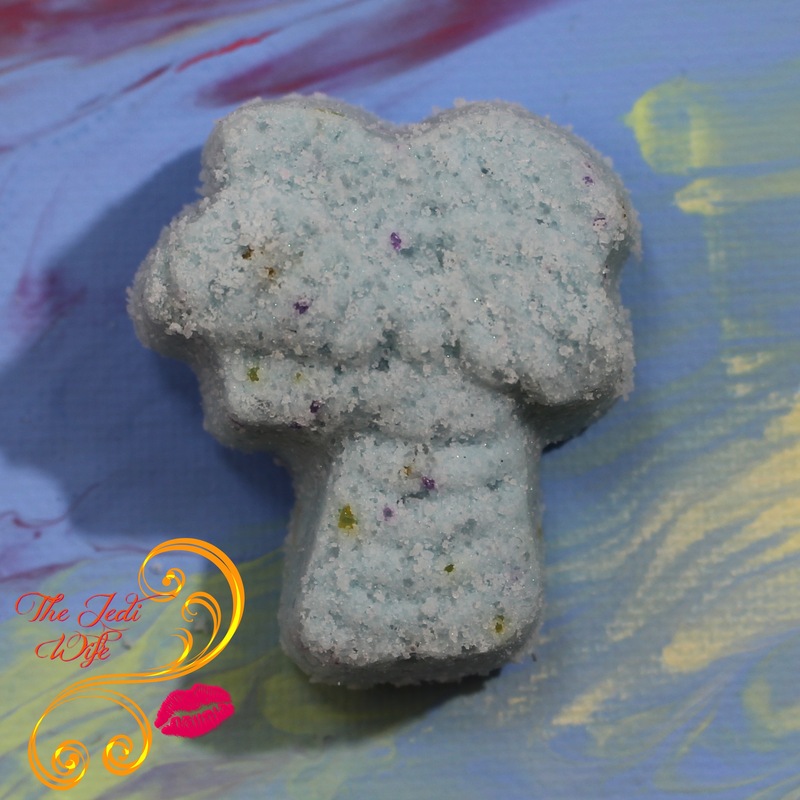 This particular bath fizz scent is called Sea Siren, and is a blend of sparkling mandarin, juicy melon and a hint of apple, pineapple, coconut, violet, jasmine and driftwood, sprinkles sugar and white musk. It smells so good! Both these shades, bath fizzies in several scent and size options, and the rest of the Death Mythos Collection (and other older IAMCCC collections) are available for purchase on the I,A.M...CustomColorCosmetics website located here. I know I'm adding several shades on my wish list! What do you think of these shades by IAMCCC? Have you tried this brand before, and if so, what colours are your favorites? I'd love to hear from you! Until next time, dear readers, enjoy the rest of your day! CRABS is absolutely amazing. I'm obsessed with it! Oh wow! That shimmer is outstanding! These are both lovely. I love that bath fizz! Oh, that shimmer is gorgeous! And that bath fizz is friggen adorable! These colors are so pretty! Dīs Pater is amazing! I love the inner glow it has.